Osisko Metals Incorporated (TSX-V: OM) (FRANKFURT: OB5) is pleased to announce assay results from 10 drill holes from the Main Zone of its wholly owned Key Anacon project, located 20 km south of the city of Bathurst, New Brunswick. Two drill holes targeted the core of the Main Zone in order to confirm historical drill results. Drill hole KAMZ-18-27 intersected 20.70 metres of massive sulphides grading 7.92% zinc, 4.72% lead, 0.19% copper and 185.39 g/t silver (see Main Zone Longitudinal map and Table 1). Additionally, drill hole KAMZ-18-28 drilled 8.86 metres grading 9.13% zinc, 3.61% lead, 0.01% copper, and 132.87 g/t silver. 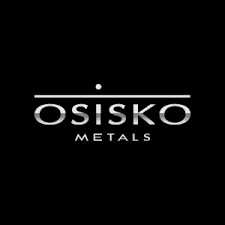 Osisko Metals is a Canadian exploration and development company creating value in the base metal space with a focus on zinc mineral assets. The Company controls Canada’s two premier zinc mining camps. The Company’s flagship, the Pine Point Mining Camp, located in the Northwest Territories, has an Inferred Mineral Resource of 38.4 Mt grading 4.58% zinc and 1.85% lead, making it the largest high grade, pit constrained zinc deposit in Canada (please refer to the Amended Technical Report for further information). Within the Bathurst Mining Camp in northern New Brunswick, the Company is focused on drilling and developing the Key Anacon Project, which previously had only sporadic exploration work since the 1960’s. In 2019, the Company will continue to diligently develop and explore in order to confirm and grow both projects. In Québec, the Company owns 42,000 hectares that cover 12 grass-root zinc targets that will be selectively advanced through exploration.